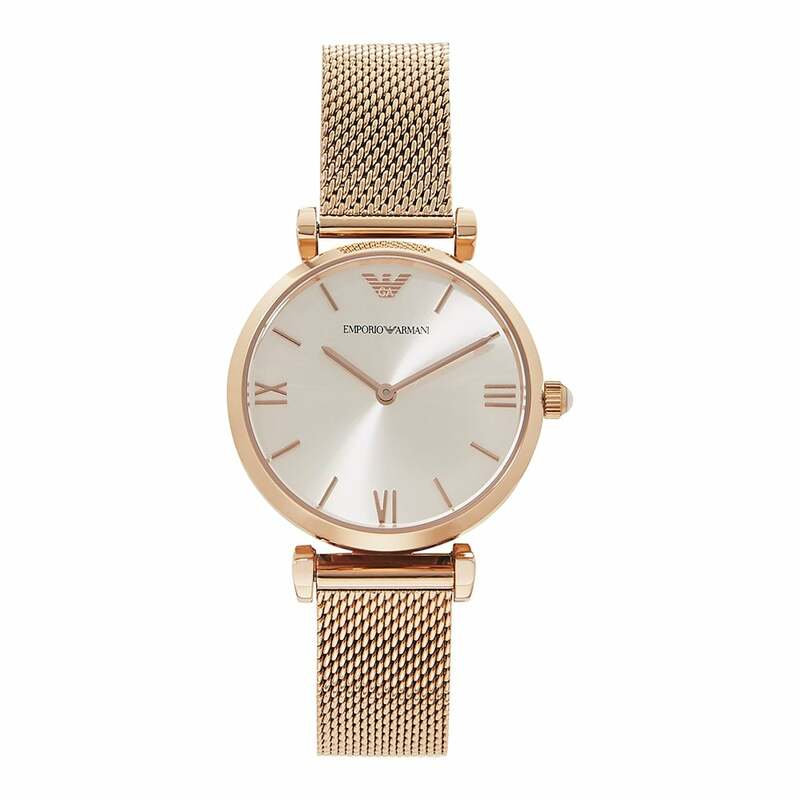 This Emporio Armani AR1956 Rose Gold Mesh & Silver Dial Ladies Watch is a must have for all ladies. Coming with a 32mm face, this petite yet classy design is a real eye catcher. The rose gold mesh strap really brings out the dazzle and is guaranteed to turn heads. The watch is powered by a quartz movement. Coming with a 2 year Tic Watches warranty.